The Results Are In! The Friday Morning Bookclub’s Favorite Book For 2013 Is Once We Were Brothers….Or Is It? When listening to the news I am always skeptical of the results of polls. I am a skeptic at heart and after all, no one ever called me and asked me my opinion. But voting on your favorite book…what could be more simple? 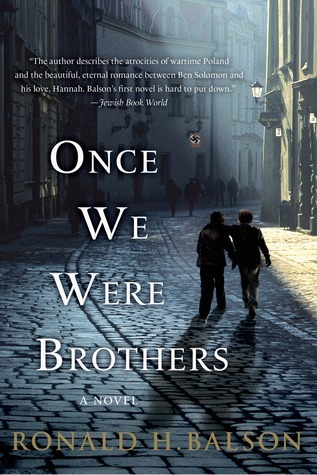 So the results of our recent poll are in and the winner is Once We Were Brothers by Ronald Balson. So why did it only receive 3.9 omelets while other books received over 4 omelets on earlier polls? Regardless of the numbers, our top three books were all amazing and all three are on my personal list of top books for 2013 as well. Check them out. Once We Were Brothers grabs you from the start. Elliot Rosenzweig is a wealthy, well-respected philanthropist. When Ben Solomon, a retired Polish immigrant, puts a gun to Elliot Rosenzweig’s head and accuses him of being the former SS office Otto Piatek, Ben is quickly knocked to the ground and arrested. After all Rosenzweig is a concentration camp survivor himself and has the numbers tattoo on his arm to prove it. Ben Solomon is not about to back down and hires a young attorney to help him bring Elliot Rosenzweig to justice. Bit by bit we hear Ben’s story and how Elliot Rosenzweig (Otto Piatek) and Ben Solomon once were brothers. You will not be able to put this book down. I know that I couldn’t! Rated 3.8 omelets. A close second goes to Me Before You. This book, which I was hesitant to read at first (another depressing book?) ended up being one of my favorites, and not just for the year! Will Trynor was living life to its fullest. He had it all, a beautiful girl friend, a thriving career, a motor cycle and the resources to do whatever he wanted to do. But that was all before the accident which left him wheel chair bound and contemplating ending his life. Louisa Clarke lived at home with her parents, had a steady boyfriend and had just lost her job and with it the salary her parents depended on to pay their monthly expenses. She needed a job, so when the opportunity arose to work as a care taker to Will she had no choice but to accept. 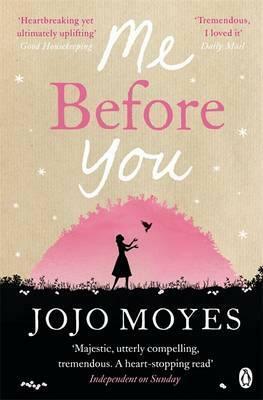 What follows is a beautiful story which will have you laughing out loud at times and crying at others. Rated 4.7 omelets. The Husband’s Secret involves three different women and a secret which had the potential to change all of their lives forever. Cecilia Fitzpatrick considered herself a “typical suburban mom.” She was a planner and always organized. Other moms had no idea how she did it all, but it was easy for Cecilia. But when she finds the old yellowed envelope addressed to her in her husbands handwriting, to be only opened upon his death she is torn. She knows that she shouldn’t open it, but does so anyway. This thoroughly entertaining book left us all wondering…..would we open the envelope? Rated 4.12 omelets. What was your favorite book for 2013? Tough question! I really liked your top 2 books. Haven’t read the 3rd yet. Others at the top of my reading list are These is My Words by Karen Taylor, Wonder by R.J. Palacio and The Art of Hearing Heartbeats by Jan-Philip Sendker. I have Once We were Brothers but haven’t read it yet. 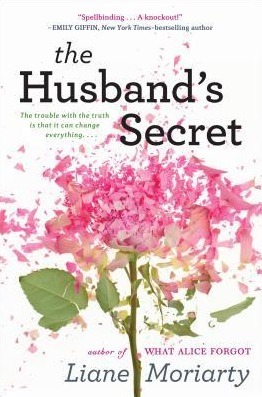 I did love The Husband’s Secret, one of my faves last year. Hi Jennifer! I have been meaning to read The Light in the Ruins. Thanks for the reminder!